After watching the Afero demonstration workshop at MenloHacks, we seeked out Mr. Amberg who worked with Afero and worked with him to create a project. Using a range sensor, people can detect proximity to certain objects and detect if there is a threat near them. We connected the Afero board to a plinto, which was plugged into an Arduino. 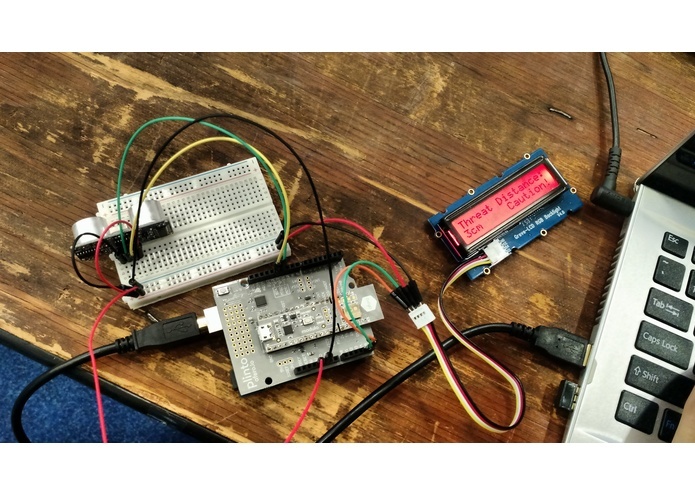 An ultrasonic range sensor was connected to a breadboard with wires running through. 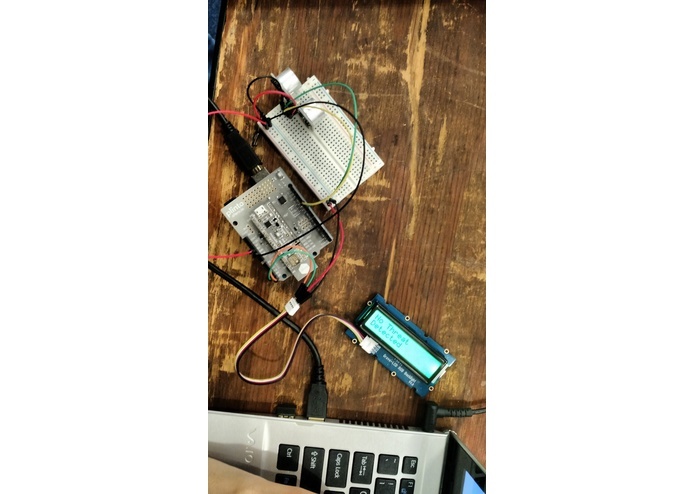 By plugging in an LCD screen to relay text and processing code inside the Arduino, we were able to create a threat detector. We started this project with no experience with Afero boards, and none of our members have ever touched an Arduino. However, with the help of Mr. Amberg, we learnt about how Afero boards work and how to create IoT's. We are proud that we could do this whole project without any prior experience and formulate a new idea on the spot for our hackathon. We learnt about IoT's and how they operate, as well as the Afero board, and experimentation with the Arduino. We hope to use the Afero technology in other applications that can help others with hackathons and projects, as well as in the industrial world. I worked on the hardware side of the Afero, such as connecting the wires to the sensors and Arduino, and beta testing the Android app and Chrome Store app with the Afero board. I worked on the arduino file that combined the range sensor and LED Backlight. I also added the Afero board through software (and hardware through soldering) to enable notifications. I worked on code that used an ultrasonic sensor with the arduino in order to print out text/color on the LED. The output was based on the range of an object to the sensor. I additionally, tried to implement a simple iot using an afero module so that it could send notifications to a phone if an object was close to the sensor. Unfortunately, there were some issues with the module which didn't allow me and my teammates to implement said iot.